Welcome to the second Sunday of Advent. More than two thousand years ago, a star appeared in the East as a beacon and a guide to the newly arrived Messiah, Jesus. Despite its brief biblical appearance, it was a star that led people to Jesus, just as the star leads us to Jesus this Advent season. The star signals the brightest love, the love that never gives up, the love that conquered sin and death, the love that surrounds us daily and fills us eternally. Perfect love. God’s love embodied. Love is a difficult thing to grasp. Depending on the stage of life you are in love means different things to each of us. If you are a child, love is often an abstract concept that we hear from our parents. I love you… and while we know they do, we certainly don’t understand what that means. As we become teenagers love takes on an entirely different meaning. When a teen thinks of love it is often associated with overwhelming emotion and illocigcal passion. As we grow into our adult years love begins to take on a sense of parental love where we recognize that love is more a decision and an action than it is a feeling. Finally in our later years, (of which I am not yet there) I am told that love takes on a sense of enduring and faithful companionship and care. One of the things that is challenging in this season, is the fact that the message we hear during this time is all about love, but it is a temporary thing. I have seen on facebook so many people serving, loving and caring for each other but it is a fickle and fleeting thing. The world seems more loving during this season but is that really true. For some yes, but as believers this should be the way we live every moment of every day. Dear friends, let us love one another, for love comes from God. Everyone who loves has been born of God and knows God. 8 Whoever does not love does not know God, because God is love. 9 This is how God showed his love among us: He sent his one and only Son into the world that we might live through him. 10 This is love: not that we loved God, but that he loved us and sent his Son as an atoning sacrifice for our sins. Let me ask you to consider several questions: How do you perceive God’s love for you? Do you feel you need to earn it? Do you wonder if God’s love is meant for you? Do you see the overflow of God’s love in your own life toward others? We often talk about Christmas as the time “when love came down.” We say God’s love entered the world as a baby. And that is all true. But we would be mistaken if we didn’t take a longer view, a view back in time to the beginning of the world. The history of our world, the story of the Bible, is a love story from the first day of creation. It is the story of God’s love for His people and His plan of redemption to bring us back into relationship with Him. God is not some distant uncle who suddenly shows up with a gift nobody knows what to do with. Nor is He a cold and miserly distant figure grudgingly offering us an occasional token. Yes, love came crashing into that stable in Bethlehem. But Jesus’s birth was the culmination of a long history of love. And His love for us today, this Advent season, is not something new. Psalm 139 tells all about how God knew us intimately before we were born. And the apostle Paul wrote in Ephesians: “For He chose us in Him before the creation of the world to be holy and blameless in his sight. In love He predestined us for adoption to sonship through Jesus Christ, in accordance with His pleasure and will—to the praise of His glorious grace, which He has freely given us in the One He loves” (Ephesians 1:4–6). God’s love does not depend on us. It’s not something we have to earn or perform for to maintain. It starts with God, not us. God is love. It is His nature and character. His love for us was there from the beginning of time and will continue throughout eternity. It can be a mind-boggling concept to grasp. But as we pursue the journey of love, let me encourage you to simply accept that God’s love for us exists beyond the constraints of time, space, and our limited understanding. It’s a love worth focusing on, meditating on, and basking in during this season of preparation. But do you ever have a hard time loving God? Do you ever have a hard time accepting His love for you? Do you ever doubt that His love is enough to cover all the pain, hurt, selfishness, and evil of our world? Or that His love is enough to cover the pain or hurt in your own heart? If we’re honest, I think most all of us would have to answer yes to all those questions, and some of us more than others. Despite what we may know in our heads or believe in our hearts, there is a daily struggle to live in the reality of God’s love for us. It’s so different from our own ability to love. It may be vastly different from the love—or lack of it—that you’ve experienced in your human relationships and life overall. Let me remind you of some good news this morning—the best news. God. Loves. You. Not because of anything you’ve done or have to do. Not for today but then He’s going to take it all back tomorrow. Not like the father or mother or spouse or ex-spouse or friend or enemy who let you down or hurt you or abused you or twisted the concept or guise of love to inflict damage or pain or heartache that can seem so hard to heal from or let go of. Think of the Christmas story characters. They didn’t fit into the “most lovable people” box. They were a bewildered, young, average, and humble engaged couple, a band of smelly shepherds, a group of foreign mystics. Dig a little deeper behind the bathrobes and kid animal costumes of the typical Christmas pageant scene and you get the picture. Where would you fit into the scene on that Bethlehem night so long ago? Where do you find yourself now in this season of long, dark, and cold winter nights? No matter where you are on the journey, God’s love is for you. It is more vast and perfect than you can ever fully and completely grasp this side of heaven—but so worth opening your heart and mind and soul to receive and be drawn ever deeper into. Maybe that was a little like the prayer the apostle Paul offered for the Ephesians when he wrote, “And I pray that you, being rooted and established in love, may have power, together with all the Lord’s holy people, to grasp how wide and long and high and deep is the love of Christ, and to know this love that surpasses knowledge—that you may be filled to the measure of all the fullness of God” (Ephesians 3:17–19). God’s love is deep and wide and long and high. And it doesn’t change even if our feelings do. Even when we feel distant from God’s love, He is there beside us. The people of Israel must have felt abandoned many times. They must have struggled to believe that God still loved them when it took so long for the promise of a Messiah to be fulfilled. But even when they grew weary of waiting and questioned God, His love never failed. It was there all along to carry and sustain them through uncertainty. And in the right timing, God’s love delivered its full culmination in the birth and person of Jesus, God made flesh, love come down among us. Jesus was God’s love with skin on. Nothing can shake that love. Nothing can tear us away from it. And it will never fail us now as we wait for Jesus’s coming—figuratively through the Advent season and literally until He returns to earth to complete His ultimate work. In Romans, Paul gave us a description worth clinging to when we struggle or doubt or simply need a hopeful reminder: “For I am convinced that neither death nor life, neither angels nor demons, neither the present nor the future, nor any powers, neither height nor depth, nor anything else in all creation, will be able to separate us from the love of God that is in Christ Jesus our Lord” (Romans 8:38–39). 3. Love continues through the Holy Spirit in us. It’s the very nature of God’s unending and unlimited love that it cannot be contained. God doesn’t want it to be contained. The Bible tells us to love others, even the people who seem unlovable. Sometimes that is easy, and sometimes it’s the hardest thing in the world. And getting back to those holiday houseguests—sometimes the unlovable are the people closest to us. They can be the people we truly love most but who also have the most power to drive us crazy, remind us of our weaknesses, and even bring up our deepest pain. So on a very practical level, this Advent journey of love is about God’s love in us overflowing to others. In reality, that’s not something we can do—or do for long—on our own effort. It must come from the source of love, and it can. The Living Bible nicely paraphrases Peter’s description of that: “Now you can have real love for everyone because your souls have been cleansed from selfishness and hatred when you trusted Christ to save you; so see to it that you really do love each other warmly, with all your hearts” (1 Peter 1:22, TLB). That doesn’t mean it is easy, but it shifts our focus from trying hard to love others to experiencing the depth of God’s love in a way that allows it to overflow in our life to the people around us. • God is love, and He sent His Son as a sacrifice for us. 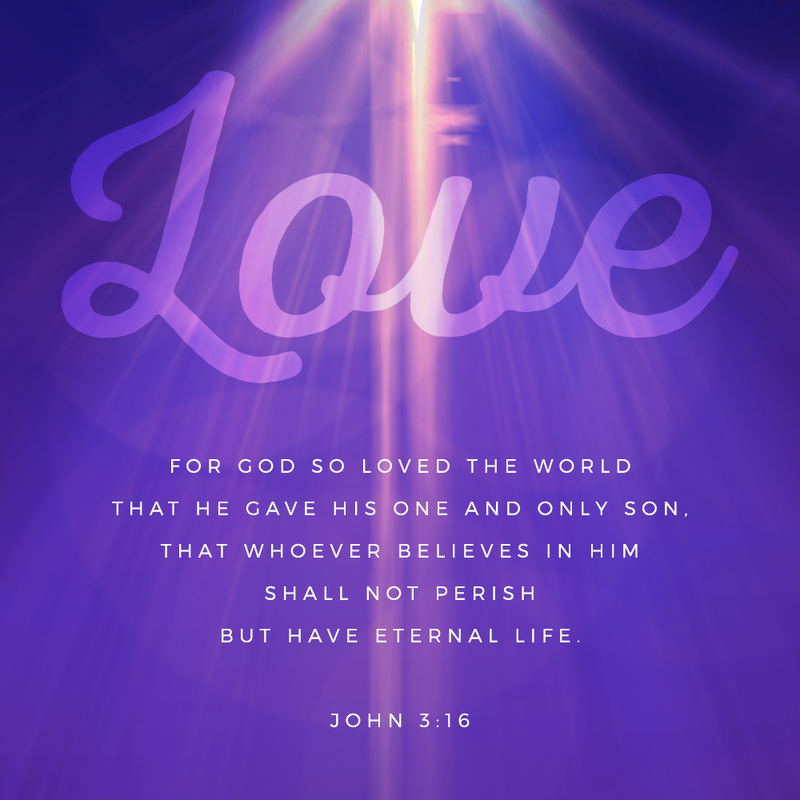 This was Jesus, God’s love from the start and His gift to each of us. • We can know and rely on God’s love—God’s love is enough for us today, tomorrow, for always. • We love because God first loved us. God’s love overflows within and through us to others. Advent and Christmas can be an easy season to put this similar love into practice. Yet in many ways, it can be even more difficult. But as we prepare our hearts expectantly and purposefully for our celebration of Christ’s arrival, let us also put into practice His love flowing through us. Will you allow His love to penetrate and overflow your heart as you abide with the source of all love this Advent season? 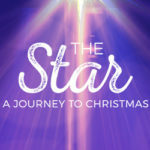 Prayer: God, thank You that in this season of Advent, You invite us to follow the star on a journey of love. Help us to experience the depth of Your love, which has been there from the start, is enough for all of us, and overflows in our lives to others. Please continue to fill us with expectation as we live in Your love and wait for the complete fulfillment of that love when Christ comes again. Amen.